Learn how to use SAM-e as a natural remedy for both depression and joint pain. In Part 1, you learned about an amazing 2-in-1 natural treatment for simultaneously beating depression AND arthritis. S-adenosyl- methionine, or SAM-e (pronounced Sammy) for short, has been shown in multiple studies to naturally treat depression and joint pain just as effectively as prescription antidepressants and NSAIDS. Part 1 focused on joint pain and arthritis. As you saw, numerous clinical studies found that SAM-e was not only superior to placebo, but as effective as conventional treatments like ibuprofen and Celebrex, and better tolerated. Now, in Part 2, we will focus on the antidepressant qualities of this dual-action natural medicine. As a methyl donor in the brain, SAM-e is involved in the synthesis of neurotransmitters such as norepinephrine, dopamine, and serotonin. SAM-e is also involved in the production of other important brain chemicals such as hormones, nucleic acids, proteins, and phospholipids, which are key components in the membranes of neurons. In this way, SAM-e not only affects the manufacture of brain chemicals, it also other factors crucial for mood regulation, such as the proper functioning neuronal membranes and brain cell receptor sites to which the neurotransmitters bind. Researchers believe all these functions of SAM-e contribute to its role in beating depression. When taken as a supplement, sam e depression benefits include beating depression naturally without all the side effects of conventional drugs. In fact, SAM-e is one of the safest, most well-studied, and most effective natural remedies for depression symptoms. 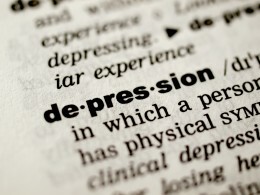 SAM-e has sufficient supporting evidence for its efficacy to warrant safe use for the treatment of depression, according to Robert Howland, MD, Professor of Psychiatry at the University of Pittsburgh, in a recent published review. Depressed patients have low levels SAM-e in the serum and cerebrospinal fluid, and supplementation raises levels of SAM-e, dopamine, and other neurotransmitters in the brain important for mood regulation. Higher SAMe levels in the brain are associated with successful drug treatment of depression. A systematic review of clinical studies examining SAM-e for beating depression reported benefit in 4 of 5 studies using oral SAM-e at doses of 1600 mg per day, the most commonly used dose, which is typically divided into 800 mg twice daily. Of the 5 studies using oral SAM-e that were reviewed, the effects of SAM-e on depression were equivalent to triclyclic antidepressants in three studies. Drug-related side effects occurred in 5% of SAM-e patients versus 20% of patients on triclyclic antidepressants. The one negative trial involved an unstable formulation of SAM-e that has since been withdrawn. Current oral SAM-e preparations are more stable. In a preliminary trial, thirty patients with Major Depressive Disorder, despite an adequate dose of a SSRI, were given 800 to 1,600 mg of SAM-e over six weeks. Overall, 93% of patients improved. Furthermore, the SAM-e was associated with acceptable tolerability, no weight gain, and statistically significant reductions in reported sexual dysfunction, anxiety symptoms and serum homocysteine levels. In a follow-up double-blind, randomized clinical trial, researchers affiliated with Harvard Medical School and Massachusetts General assigned a total of 73 patients with major depression not responding to SSRI’s to either placebo or SAM-e, 800 mg twice a day, in addition to their SSRI’s. After six weeks, significantly more patients treated with adjunctive SAM-e experienced either improvement or complete remission of their depression compared to placebo. SAM-e “…can be an effective, relatively well-tolerated, and safe adjunctive treatment strategy for [SSRI] nonresponders with major depressive disorder,” according to George Papakostas, MD, the study’s lead author and Associate Professor of Psychiatry at Harvard Medical School. Dr. Papakostas also believes the evidence supports the use of SAM-e as a primary treatment for depression. “Based on existing data, supplementation with SAMe… appears to be efficacious and well tolerated in reducing depressive symptoms,” he recently stated in a published review of SAM-e for major depression. For anyone with joint pain and low mood, the 2-in-1 effectiveness of SAM-e for beating depression AND easing the pain of arthritis should bring a sense of ease, comfort, and relief. While the majority of studies for joint pain used a daily dose of 1200 mg and the majority of depression studies used 1600 mg per day, lower doses of SAM-e have also been shown in some smaller studies to be effective, so lower doses might also be worth trying if cost is an issue. SAM-e is not an inexpensive supplement, but the fact that it treats both conditions simultaneously could make the expense worth it for those with aches and pains along with their depression. SAM e is relatively well-tolerated and free of adverse effects and is not known to interact with prescription medications. Reported side effects include mild insomnia, lack of appetite, nausea, and nervousness. It should not be used in those with bipolar disorder because cases of increased mania in those with bipolar have been reported. So for beating depression naturally and at the same time for easing arthritis or joint pain, SAM-e may be just what the doctor ordered. Mischoulon D. Update and critique of natural remedies as antidepressant treatments. Obstet Gynecol Clin North Am. 2009 Dec;36(4):789-807. Papakostas GI. Evidence for S-adenosyl-L-methionine (SAM-e) for treatment of major depressive disorder. J Clin Psychiatry 2009;70(Suppl 5):18-22. Howland RH. Dietary supplement drug therapies for depression. J Psychosoc Nurs Ment Health Serv. 2012 Jun;50(6):13-6. Bottiglieri T, Godfrey P, Flynn T, et al. Cerebrospinal fluid S-adenosylmethionine in depression and dementia: effects of treatment with parenteral and oral S-adenosylmethionine. J Neurol Neurosurg Psychiatry 1990;53(12):1096-8. Bell KM, Potkin SG, Carreon D, et al. S-adenosylmethionine blood levels in major depression: changes with drug treatment. Acta Neurol Scand Suppl 1994;154:15–18. Delle Chiaie R, Pancheri P, Scapicchio P. Efficacy and tolerability or oral and intra-muscular S-adenosyl-L-methionine 1,4-butanedisulfonate (SAMe) in the treatment of major depression: comparison with imipramine in 2 multicenter studies. Am J Clin Nutr 2002;76(Suppl):1172S-6S. Alpert J. Oral S-Adenosyl Methionine (SAMe) for Antidepressant Augmentation: Open-label Trial. Presented at the American Psychiatric Association Annual Meeting, New York City. May 5, 2004. Papakostas GI, Mischoulon D, et al. S-adenosyl methionine (SAMe) augmentation of serotonin reuptake inhibitors for antidepressant nonresponders with major depressive disorder: a double-blind, randomized clinical trial. Am J Psychiatry. 2010 Aug;167(8):942-8.
aches and pains, antidepressant, antidepressants, anxiety, anxiety symptoms, appetite, arthritis, beating depression, beating depression naturally, bipolar disorder, brain, brain chemicals, dementia, depressed, depression, depression and joint pain, depression naturally, depression studies, depression symptoms, depressive disorder, depressive symptoms, dopamine, for depression, for joint pain, health, homocysteine, homocysteine levels, insomnia 2, joint pain, major depression, major depressive disorder, mild insomnia, mood, natural medicine, natural remedies, natural remedies for, natural remedies for depression, natural treatment, natural treatment for, nervousness, nsaids, pain, pains, paxil, remedies for depression, sam e depression, sam e dopamine, serotonin, serotonin reuptake, serotonin reuptake inhibitors, side effects, supplement, treat depression, treatment for depression, treatment of depression, tricyclic antidepressants, weight gain, zoloft. Cochrane review: SAMe is not effective for MDD as monotherapy or as add-on to SSRI medication. The Cochrane review did not state that! It stated that the evidence is “inconclusive”, due to most studies being of poor quality. It recommends larger and better designed studies to determine efficacy. 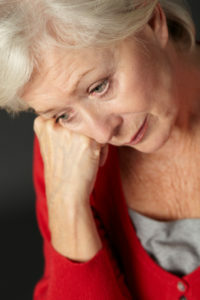 Further research is desperately needed, given the serious burden of refractory depression. As a patient with this condition, I am willing to try it – even if the evidence is not yet robust. My psychiatrist suggested it, and I trust that he is basing his recommendation on at least some evidence.